It gives you a recommendation on replenishment which is huge for our company because we manufacture our products. This means I know precisely how many products to make and balance under and overstock properly for a much improved cash flow and inventory turnover ratio! Don't do it manually like I was anymore and get this app! When you invest in new products, data-driven decisions are better than ones based purely on intuition. 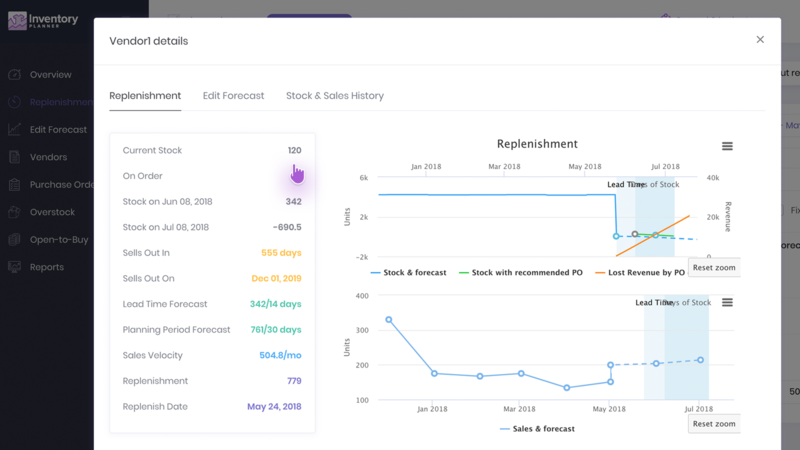 Revenue forecasting helps to control inventory spending and avoid overstoking without checking each product. 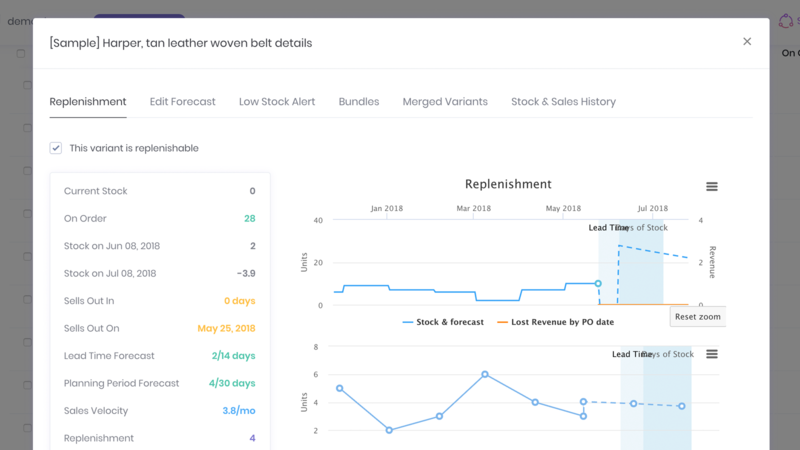 Knowing your current inventory state, forecasted revenue, and planned markups you can figure out how much to spend on each category or supplier. For example, if the current retail value of a category is $100,000 and the revenue forecast is $150,000, you should add $50,000 more inventory to this category ($50,000 Open-to-Buy at retail). If your planned markup is 50%, Open-to-Buy at cost is $25,000. 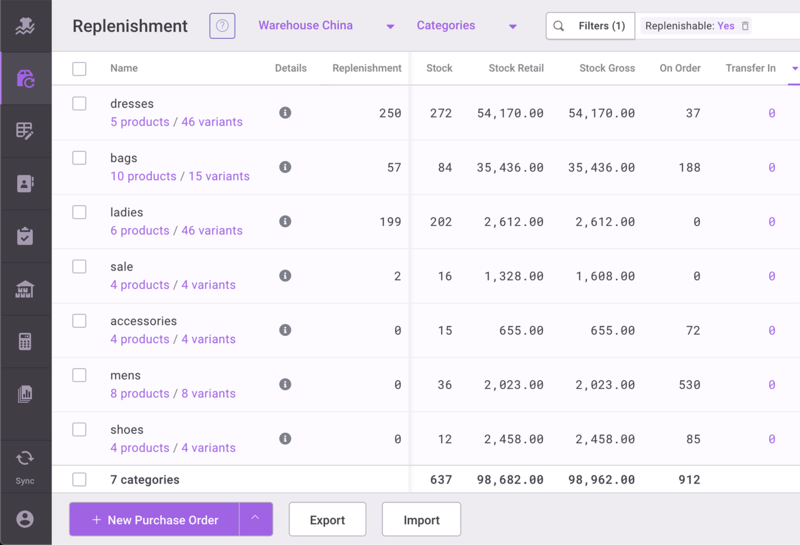 With Inventory Planner you will see sales and revenues for categories, vendors, and brands for a selected time frame. You can see trends and correlations between sales, revenues, and product pageviews.